This course examines new brain learning research findings and how they work with psychology. It looks at brain mapping, environment and genetic effects. How the brain goes through a variety of changes during adolescence is explained. 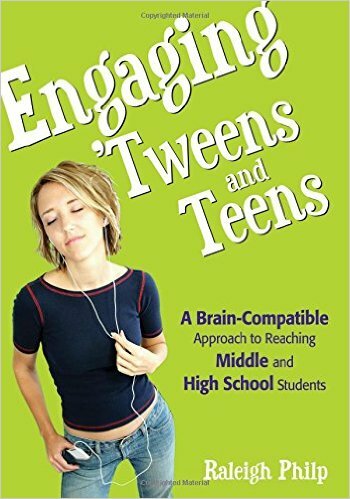 The use of technology, computers, cell phones and other devices has changed how the brain is programmed and how adolescents in today’s society have changed. Strategies for engaging student in learning are presented to assist teachers and school administrators to improve academic performance. Educators will research the topic of teen brain and social development write and application essay or a project activity for implementation. Educators will review the new findings in brain research that explain how the brain learns, make new connections and how our thinking is changed through brain plasticity. Participants will be presented with the various changes that the brain makes during adolescence and explore how technology and the media have changed how the brain functions with the new generations of students. Educators will learn about making material meaningful, how emotions affect the brain and learning as well as how stress affects the brain and body. Participants will explore techniques for managing student psychological states in order to engage them in learning and help them to recall and apply knowledge. Educators will research this topic as it applies to student choices regarding drugs, promiscuity, and alcohol as well as to their broader decision-making abilities.